Welcome to my first golf course report since returning to where it all started back in 1985. There have been some changes to the course and the vegetation has shot up dramatically in places. Playability is my big aim for the course over the next few years which will enable all levels of golfers to enjoy their golf and not go home frustrated! The ball has started to roll in that regard with the whin removal undertaken last year and with plenty to do in the future. The bunkers as we all know are difficult to play out of and as greenkeepers are also difficult to maintain. The windy weather of late has played havoc with the sand and we have repeatedly had to shovel and reshape to bring them back into order. The sand will not pack and when it is dry will only lead to some plugged balls unfortunately. There is plenty work to be done over the next few winters to reduce the depth and improve sand quality and performance. We will be trialing a new bunker liner in the bases of bunkers which will help contain sand on the faces and also stop any stones coming through. A plan for any bunker alterations will be made available before the winter programme is decided. The STRI visit on June 7th highlighted good progress with regard to firmness, trueness and general speed. Their visit fell after we experienced a whole days rain the day before and results may have been slightly affected compared to a few weeks earlier during the dry spell. Nonetheless the sand dressings over the past few years are proving beneficial in keeping the surfaces firm and true. The verti draining done in late March was probably a little bit late and with some Leatherjacket activity has rendered a few holes that are still slow to fill in. Combine this with a lean fertiliser strategy and coolish weather means that some areas of greens ie. RHS 12th will take a while yet to completely fill in. Light verti – cutting, grooming and sand dressings will continue through the summer period to further enhance trueness and complete grass cover. Moving forward we aim to increase Bent grass levels through some late summer over seeding. We still have some Fescue grass seed in stock and if the opportunity occurs will also try to get this into the sward. These areas received a verti – cut last month and were sanded recently. These jobs aid sward refinement and turf performance. Some rye grass within needs to be sprayed with ‘Rescue’ graminicide to help clean up their appearance. All tees have been sprayed for weeds and more recently been given a summer feed. The fairways are performing well and the recent wet month of June has kept them from drying out too much. Regular divotting and tidying up of divots is greatly improving the look of the course and many thanks to the volunteers who have given their time to help us. Most of the weed spraying has been completed. I have decided not to white line dash approaches to greens for buggy users but would ask that the buggies be kept back a few metres from green edges and not be taken onto the tees. Thank you. We have sprayed most of the weeds in the semis and widened them in places. The taller roughs are getting to the stage where they are needing cut and this will be done in the next couple of weeks during some dry weather if we get it? The ‘Laser’ herbicide has worked well in keeping the bases more open and reducing the time spent finding your ball. LHS 5th hole. The mounding left behind after the car park works has turned into a weedy mess and as a result we have strimmed it down and sprayed it for weeds. There are still plenty of stones in the area so it has been white lined and made GUR. There is 1no. drop zone in use. 17th Green Pole. A new pole has been made by David Grigor and will be in place very shortly! All the areas of gorse that we intended to remove and turf over, have now been completed. I would like to thank Willie Gray and his staff for the added help. It is very much appreciated. Due to added help from his landscaping team, we were also able to clear some of the gorse from the banking along the right-hand side of the first fairway, which will help the ball roll back down to the semi-rough. The greens have come out of the winter much better than previous years and are looking extremely healthy. It’s encouraging to see a lot less poa annua on the greens and the start of fescues coming through the bent grasses. We have recently tined the greens again to help them breathe a little which allows cation exchange to take place and also relieve compression from winter play. The greens have already had a top dress and a verticut in the last month and when we start to have more grass growth we will start to regularly repeat these procedures. The height has just been reduced to 4.5mm from 5mm. The tees have had another verticut to reduce the thick lush growth of the poor grasses and encourage better finer grasses to in fill. We will continue to verti cut as we see fit and overseed with fine grass species. They are due a liquid feed and an application of wetting agent, this will be done once we get a break from the windy conditions. The amount of fescue that has come through on the fairways is amazing, the cover is now a good 60 – 70%, a vast improvement on previous years. The regular applications of iron and wetting agents plus annually overseeding with fescues has made a huge difference. Hopefully, in the future, this will continue. We have started regular cutting of the fairways. The roughs have just had a spray of laser herbicide to help reduce the coarse grasses and this will be done again at the end of the season once the roughs have been cut down. The purchase of new machinery will help massively with maintaining the rough around the course, and some progress has already been made in that regard. The areas of roughs will be reduced in main play areas this year which will allow for greater runoff and a better chance of being able to play the ball as it lies, as well as speeding up play. All areas are due to be sprayed soon for weeds as daisies are starting to pop up all over.  I would like to thank Alistair tait for all the help that he has done on the course over the winter from signs to markers, arranging for the carpark holes to be filled etc. His help has been invaluable. I would also like to thank all the members who are involved with the work parties picking up litter on the course and devoting fairways and semi roughs. Olf courses need more people like you! Volunteer Minutes From Monday, 27th February 2017 – Members Information. Please click the link below to see the minutes. The weather has been fairly good over the winter so far, without too many days of frosts, rain or snow. Work has begun removing gorse on the first 4 holes of the course, with backfilling happening at the same time. Areas on the right of the 2nd and 3rd have been turfed over. The stumps on the 2nd and 18th have yet to be removed but should happen shortly. The bunker on the 7th has been completed and should be easier for members to play out of, it will be back in play at the end of March. The greens have been vertidrained and are due to be tined again with smaller thinner tines. The tees and aprons have been tined twice so far over the winter period and are due a light feed to take them into the springtime. The fairways have been tined in November and given a spray of iron sulfate and have just been tined and given another spray of iron and wetting agent. The rock armour has now been completed along the 6th and 7th coast and infilling between the stones and the top of the bank has started, this will then be seeded to finish. We are starting to experience some colder mornings now and as such the rate of grass growth has dramatically fallen back. The greens were cored, seeded and topdressed towards the end of October and had an application of iron, potassium and wetting agent to help them through this period. The height of the greens has now been brought up to 5mm from 4mm. The tees were over seeded at the start of October as were the aprons, with some of the tees being seeded again at the end of the month. The winter tees are due to be reinstated on the 14th November. This may change, though, as the coastal erosion works are also scheduled to begin on this date at the 6th and 7th holes. Members will be kept informed through the usual means. The fairways are starting to be sprayed with iron sulphate to help reduce a build up of moss, this will also help to keep casting worms down and promote better grasses by acidifying the soil. We have started cutting back the roughs this week and removing the clippings which will help to improve the quality of the grasses. We will be carrying out the following work over the winter, as well as normal care and maintenance of the course and practice ground. These works will be planned to tie in with the priority areas identified in the member’s consultation response. As the work associated with the coastal erosion works is currently unquantifiable, the plan may need to be adjusted. Again, members will be notified of any changes which may occur. Summer has just arrived and there appears to be an end in sight for the continual rain, which creates its own challenges for the greenkeeping staff. The occasional warm weather and the continual wetness have ensured that there is plenty of growth around the course. Unfortunately, the work that was carried out at the chanory car park to improve the parking and traffic flow is also presenting the club with a few unwanted problems. The increase in the number of vehicles going through the course and the narrowing down of the roundabout at the car park is causing more traffic to become bottlenecked in front of the 5th tee and green. We have already had to block off the access to the old nursery at the rear of the 12th green and access to where sand and soil is stockpiled, as the visitors were using this as an overflow carpark. New signs have been put up to warn drivers that there is no parking at the sides of the roads. We are also in constant contact with the highland council to make them aware and we await some action to help improve the current situation. As well as the parking problems in this area, the contractors have left the area to the left of the 5th green in a state which is less than ideal. We have had one meeting so far to discuss the way forward, and another meeting is arranged for this coming week to try and come up with a solution which is acceptable to the club. The greens are continuing to be regularly verti cut, topdressed and rolled. With all the rain we have had, the greens are softer than during a normal dry summer and we are starting to see more pitch marks again. Obviously, it is in everyone’s interests to repair their pitch marks as they go. Recently, I was approached by 2 members playing in the sweep to say that the side of the hole cup at 10 was damaged. This turned out to be a pitch mark right on the edge of the hole cup and was not repaired which affected the roll of the ball into the cup. So please repair your pitch marks. The weaker tees have all had a second feed of 12:5:20 slow release granular fertilizer to help improve the grass cover and appearance. The club’s policy of allowing play from all tees obviously has had an impact on some of the teeing grounds. This is more evident on the white tees, which are obviously proving to be the more popular of the teeing options. To try and help the situation on some of the more well-worn tees, we are trialing a box filled with divot filling mix on the 5th tee. This has proved to be beneficial, and we may extend this to other tees which are showing signs of wear and tear. The fairways are improving all the time with fine grass content and cover and are due to be barrel tined soon to let them breathe. The rough will have another spray with the grass herbicide and weed killer towards the end of this month, to help thin them out again before we cut the rough down in October. Work will be starting next month behind the 9th tee area. This is to remove some of the gorse in this area to allow access and storage for the erosion works on the west side of the course which is due to begin in October. These works will comprise rock barrier works extending for approximately 200 metres to reinforce the existing sea defences. A contractor has been engaged to complete the heavy works, whilst the greenkeeping staff will carry out the finishing earthworks and seeding of the area. Once again, summer has supposedly arrived. You know it’s still cold though, when the greens staff are still wearing their winter coats and lined snowsuits! Spring has been its usual cold, windy self with a few hot days thrown into the mix, but we are now starting to see a continuous amount of growth around the course and are now cutting all areas on a regular basis. The amount of fescue has been greatly increased on aprons, tees and fairways. Whilst the uptake of fescue on the greens has improved, I would like the rate to increase so that we can have a true and consistent putting surface. This should improve if we have a relatively dry summer. The poa grasses on the greens are seeding at the moment, and produce the small white heads on the surface. The poa grass has been put under stress with the weather conditions and the limited amount of feed that we give the greens and the seeds will disappear shortly. This is a perennial problem which will disappear entirely when the fescue programme is complete. We are now 3 years into a 5–7 year programme, and we should see improvement year on year. So that the Council can be assured that the fescue programme is on track, we are once again engaging the services of the STRI to examine and report on the state of the course grasses. The last report they produced in 2014 was positive and confirmed that the fescue programme was the correct strategy to employ. We have begun regular verti cutting and top dressing of the greens and this will continue throughout the year. The tees have been verti-cut once so far this year and will be done again shortly and once more towards the end of the season. The aprons are on a more regular verti-cutting and top dressing regime than the tees to help improve the surface and quality of the grasses. The fairways have been sprayed with iron and wetting agents during April and will have another spray of wetting agents shortly, to help them through our summer weather. The 1st and 18th fairways are being treated with a more expensive different product provided by a manufacturer free of charge, in return for regular condition reports. There has been a noticeable improvement in the condition of the fairways and hopefully this will continue. All areas of rough are coming along nicely – we have sprayed the rough with a grass herbicide and this has allowed only the finer grasses to grow. The rough is fine and wispy, allowing you to find your ball, but still provides a tough test when trying to extricate your ball! The fairways and semi rough have also been sprayed to reduce daisies and plantains. The areas where whins have been removed along the sides of the 10th and 15th are slowly starting to recover. Once enough growth has been established in the new grasses, we will tidy those areas which are currently Ground Under Repair, with the ultimate aim of returning those areas to playable parts of the course as soon as possible. Lastly, I would like to thank all of the members who turned out to help in the divoting exercise earlier in the year. This is much appreciated and helps us focus on those parts of the course which need attention. This winter has seen a lot of rainfall so far, with 56mm of rain in November, 131mm of rain in December and a further 28mm of rain up to the 10th of January 2016. We have been far luckier than some courses but this is still a lot of rain for what tends to be a dry course. We have tried to keep greens in play where possible but at times we have had to rest them and let them dry out, even when the puddles have gone from the surface the greens are still at saturation point and are very soft. We could do with a few weeks of dry weather to let the course dry out fully. With the wetness and cooler temperatures, some areas over the greens have died back and are not looking the best. These areas will return once we start getting better drier weather and warmer temperatures. We will also help to bring these on with the addition of some light fertilliser. The greens were vertidrained at the start of October but will be done again when we can take a tractor over the surfaces without causing any damage. They have also been barreled tinned several times to allow air into the green. The winter tees were also barreled tinned during December to let more air in. These will be topdressed in the near future too. The fairways, have had a treatment of sulphate of iron at the end of October to reduce the moss but because of the constant wetness, some moss is coming back so we will have to repeat this after the fairways have been tinned again. We have removed some gorse from the rear of the 17th green and down the right-hand side of the 18th winter tee, this will help air flow around the winter tee and help to keep it drier. We have also carried on removing gorse down the right side from the tee to help improve the view of the 18th green. We took the opportunity whilst the road through the course is closed to start work with a local farmer to cut back the gorse along the said area and this will definitely help with finding lost golf balls and provide a clearer view of the traffic and pedestrians using the road. It will also improve the health of the gorse as it has become weak and leggy. Once this area is finished we will start cutting back the gorse beside the 15th tee. New mounding left side of 11th green between gorse bush in front of winter tee up to next gorse bush. Gorse trimming around course. Gorse front right of 15th tee. Along the roadside through the course. Remove stone line in front of 6th apron on the fairway. Core greens, aprons and tees. Barrel tine fairways, walkways and other wet areas in roughs. Patching of worn areas as required. Reinstating banking alongside the 6th coastline if coastal erosion repairs go ahead.